Travel for the month is complete. 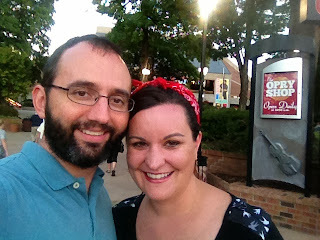 Handsome Hubby and I just got back from a few child-less days in Nashville AND IT WAS AMAZING. 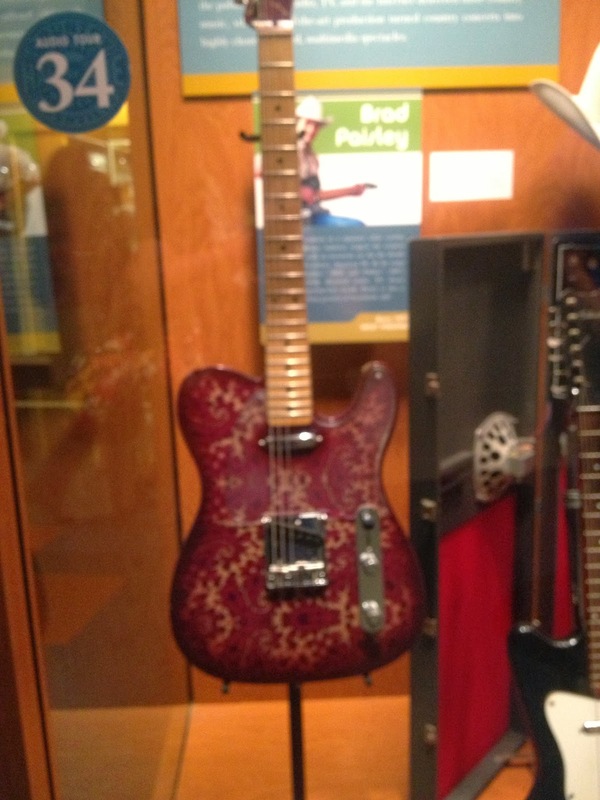 Brad Paisley's guitar. I adore Brad Paisley, though he dropped a billion points after that Accidental Racist song. Sigh. 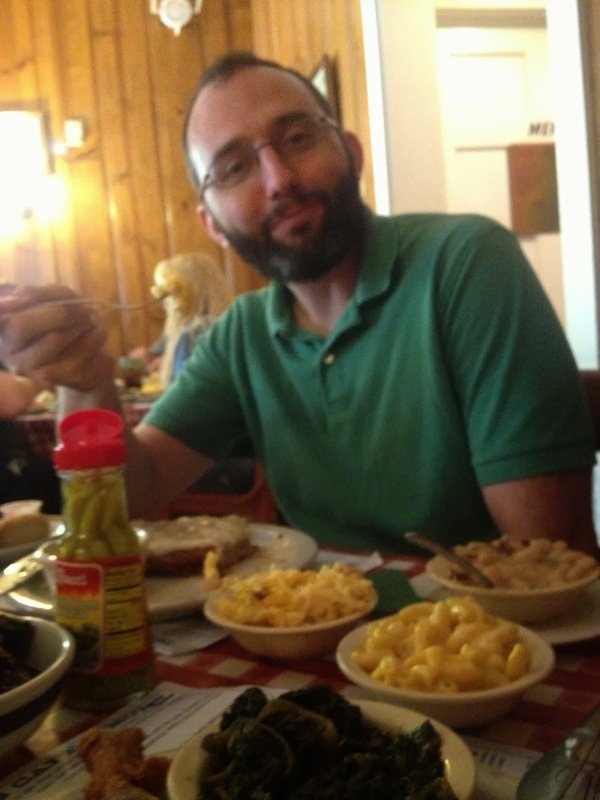 You know those parents that can barely leave their kids for dinner and would be miserable taking a trip without them? We are not those parents. Not in the slightest. We adore our child. He’s amazing. We spent most of the trip talking about him. However, we also lingered at restaurants, stayed out late, skipped meals, walked everywhere, drank way too much, went to museums and actually read signs, watched the Opry and slept in peace. We spent time being Brett and Laura instead of Mom and Dad. We are so f-ing adorable. It’s not how I want to live everyday but it sure was a nice break. Many thanks to Grandma and Grandpa for watching Max while we were gone. It’s obvious he was properly spoiled. It was also obvious Max didn’t miss us much! The weekend was a touch (ok, majorly) indulgent, so it feels good to be cooking and eating fresh, homemade foods. I’m ramping up the smoothies for breakfast and lunch to help get back on track….until my parents come to town on Saturday when it all goes to hell again! The Loveless Cafe. Good God. Totally worth the 1.5 hr wait! What do you eat to detox after a few days (or weeks) of unhealthy eating? 1. You pick out some amazing looking recipes! How/where do you find them?!? I constantly struggle with finding new things to make. 2. As a person with many friends who don't like to leave their kids behind, it's great to read this! It makes me feel a little less guilty that I really enjoy having time away from my kids!